1. Williams, B. C., Murphy, T. D., Goldberg, M. L., and Karpen G. H. (1998) Neocentromere activity of structurally acentric mini-chromosomes in Drosophila. Nature Genet. 18, 30-37. 2. Platero, J. S., Ahmad, K., and Henikoff, S. (1999) A distal heterochromatic block displays centromeric activity when detached from a natural centromere. Mol. Cell 4, 995-1004. 3. Ahmad, K. and Golic, K. G. (1998) The transmission of fragmented chromosomes in Drosophila melanogaster. Genetics 151, 1041-1051. 4. Ahmad, K. and Golic, K. G. (1999) Telomere loss in somatic cells of Drosophila causes cell cycle arrest and apoptosis. Genetics 151, 1041-1051. 5. Golic, K. G. and Lindquist, S. (1989) The FLP recombinase of yeast catalyzes site-specific recombination in the Drosophila genome. Cell 59, 499-509. 6. Golic, K. G. (1993) Generating mosaics by site-specific recombination, in Cellular Interactions Development: A Practical Approach (Hartley, D., ed. ), Oxford University Press, New York, pp. 1-31. 7. 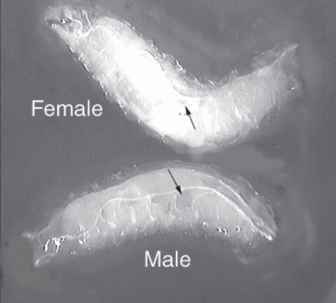 Rong, Y. S. and Golic, K. G. (2000) Site-specific recombination for the genetic manipulation of transgenic insects, in Insect Transgenesis: Methods and Applications (Handler, A. and James, T., eds.) CRC, Boca Raton, FL, pp. 53-75. 8. Golic, K. G. (1994) Local transposition of P elements in Drosophila melanogaster and recombination between duplicated elements using a site-specific recombinase. Genetics 137, 551-563. 9. Ahmad, K. and Golic, K. G. (1996) Somatic reversion of chromosomal position effects in Drosophila melanogaster. Genetics 144, 657-670. 10. Golic, K. G. and Golic, M. M. (1996) Engineering the Drosophila genome: chromosome rearrangements by design. Genetics 144, 1693-1711. 11. Golic, M. M., Rong, Y. S., Petersen, R. B., Lindquist, S. L., and Golic, K. G. (1997) FLP-mediated DNA mobilization to specific target sites in Drosophila chromosomes. Nucleic Acid Res. 25, 3665-3671. 12. Matthews, K. (1994) Care and feeding of Drosophila melanogaster, in Methods in Cell Biology (Goldstein, L. S. B. and E. A. Fyrberg, A., eds. ), Academic, New York, Vol. 44, pp. 13-32. 13. Cohen, S. M. (1993) Imaginal disc development, in The Development of Drosophila melanogaster (Bate, M. and Matinez Arias, A., eds. ), Cold Spring Harbor Laboratory, Plainview, NY, Vol. 2, pp. 747-841.